Dr. Robert Kittel , April 30, 2015, Kathmandu, Nepal: The Government of Nepal is simply overwhelmed and ill equipped to effectively handle the massive relief and rescue operation from Saturday’s deadly 7.8 magnitude earthquake. It is estimated that 400,000 homes were destroyed and eight million people affected—nearly one-third of Nepal’s population of 28 million. 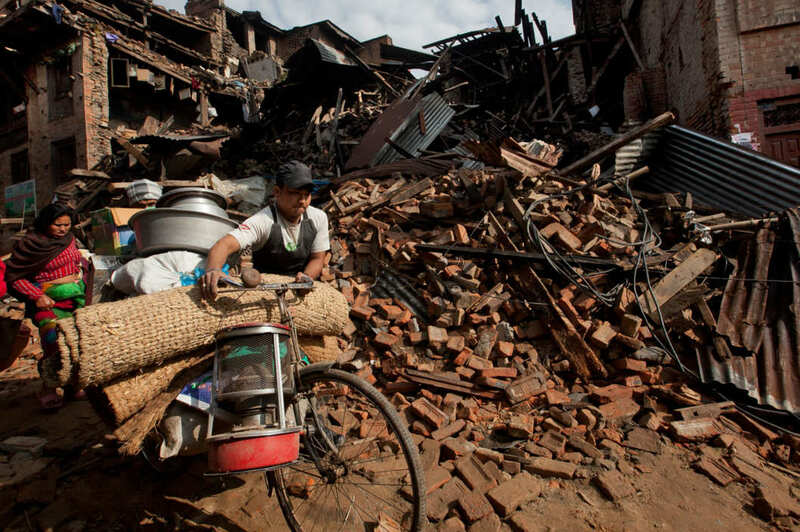 The government is doing its best, but Nepalese are growing angry and frustrated at the slow pace of aid being delivered to the victims as the death toll went above 5,000 yesterday. One report said there are 500,000 tents sitting at the Kathmandu airport, while only 27,000 have been distributed to the earthquake survivors. The capital is slowly showing signs of life. Electricity, water, gasoline and communications services are available. But still there is no public transportation and the garbage is piling up on the streets. Many shops remained closed, however, as owners and employees have gone to rural areas to help rescue operations in their villages. With dwindling hope these are now turning into recovery and cremation ceremonies. Due to lack of wood people are using the beams of collapses houses to burn their dead. Yesterday in Kathmandu a man trapped for 80 hours in a hotel that collapsed on Saturday was rescued by a French team. He survived by drinking his own urine. Those lucky enough to have buildings and homes still standing are trying to assess the unseen damages. Architects are asked to evaluate the structural viability which in many cases will require substantial reconstruction to make them safe places to live and work. Since the big earthquake on April 25, there have been as many as 103 aftershocks above a 4.0 magnitude with one measuring 6.8 on the Richter scale. A recent BBC report based on satellite radar imagery called interferogram produced by the European Space Agency said that parts of Kathmandu were raised more than a meter by the earthquake.